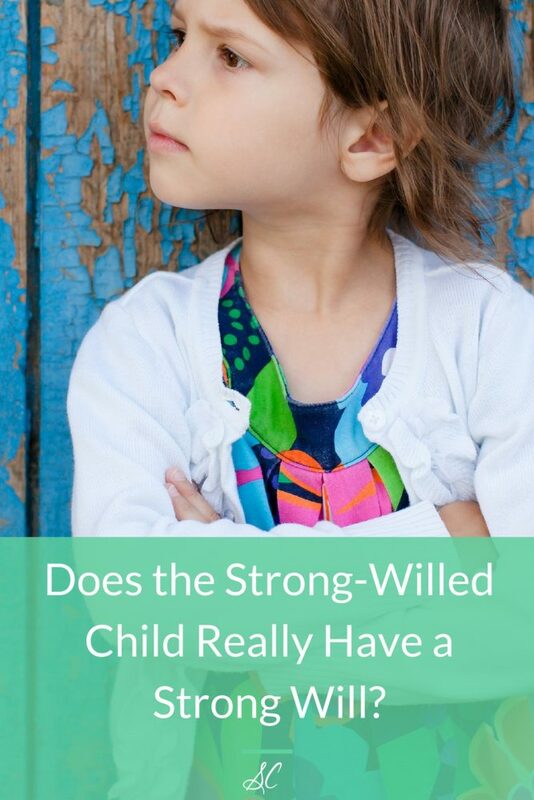 Does the Strong-Willed Child Really Have a Strong Will? 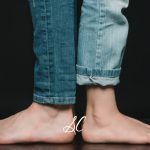 I have heard the words many times, “This child is very strong-willed!” Whether he is openly defiant or passively disobedient, the topic of what to do concerning the will of their child is common conversation among parents. Much of the current teaching concerning our strong-willed offspring is centered on the need to break the will while leaving the spirit of the child intact. 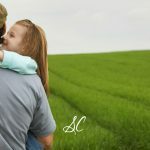 I believe there is a gentler way to approach the will of the child, giving him the benefit of powerful long-term effects in his life. Before I can talk specifically about the will, however, the term must be defined. The will is our ability to choose, whether right or wrong. Throughout scripture God puts before His people the option to choose. Only a loving and powerful God would be able to create someone with the ability to reject Him. Our gift of choice is one aspect of being created in God’s image. Power of will is manifested by how much control we exert over ourselves, making right choices in spite of our own personal desires or appetites. Choosing to compel ourselves to do what is right, regardless of the choices of those around us, demonstrates a strong and powerful will. The current trend to call a child who is difficult to control strong-willed is actually labeling him the opposite of what he is. His inability to compel himself to do the right thing is evidence of a weak will. When we view a child in this light, our job as parents changes radically. 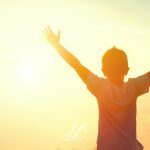 Instead of suppressing or breaking what we see to be a strong will, we must inspire the child to build within himself a strong self-compelling power. When a baby is born into a family, it is the parents’ responsibility to control the environment and the atmosphere of the home. It is up to them to provide security, healthy living conditions, and an atmosphere of love and acceptance in order for their child to thrive. Part of this responsibility is evidenced by the complete control the parent has over the young child. With love, knowledge, and discernment, wise parents make appropriate choices for the welfare of their child. Little by little, however, as the child matures, the control is slowly transferred from the parent to the child. 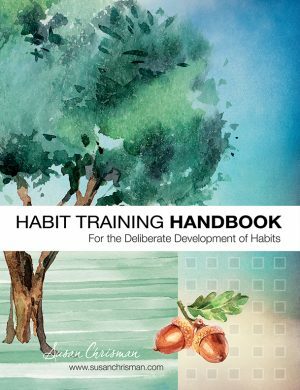 The parent’s responsibility is to train the child to choose well. Training is the key, not forcing the child. When we habitually force a child to make the right choice, we are not helping him build strength of will. We are merely exerting our will over his will. We want our children to be able to say a resounding NO when tempted to do wrong. 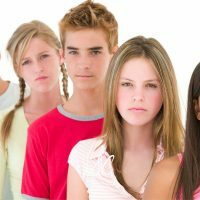 We want them to have a strong will, a strong self-compelling power, when they are confronted with harmful and unwise choices as teenagers. We hope they will be strong-willed enough to do the right thing when we are not there watching and coaching them. use distraction to help the child change his thoughts. Instead of the constant, “No, no,” to the child, change his attention when he is exploring something he should not or is wanting something he cannot have. Draw his attention to something different which he will enjoy. He is then making the decision, although with your help, to change his behavior. Using distraction will make the “no, no” much more powerful because it will be used less often and could be saved for those situations that endanger the child’s safety. will also benefit from distraction. Guiding their thoughts and attention to something appropriate will often solve behavioral problems. You may find your child has a more determined personality, and distracting him will take more thought and creativity on your part. It is worth the effort, though, to help him choose to do the right thing by guiding him to change his thoughts. You also need to be sensitive to the circumstances surrounding a child’s poor behavior. Fatigue, hunger, thirst, and over-stimulation will affect the ability of your child to cope and/or behave. Be aware of potential problems and act quickly. If your child becomes uncontrollable, it will be harder and take much longer to change his thinking. Handle the uncontrollable child gently and with as much grace as possible. Offer your infant a different toy. Give your infant, toddler, or preschooler a different visual perspective—take him outdoors or into a different room where something may attract his attention. Send your preschooler on a simple errand, one that will make him feel important. Change your preschooler’s thoughts by talking about something he is looking forward to doing, such as a party or outing. Ask your preschooler questions about an activity he enjoys. For toddlers and preschoolers make cleanup time a game and join in the game with them. Break tasks down into a number of smaller tasks so the child is successful sooner. Make appropriate toys easily accessible to the child so he may choose something different to do. Shelves give better access than a toy box. Rotate toys periodically, putting some away and others in more obvious places to encourage interest. Foster choosing well by allowing your preschooler to make appropriate choices. Green shorts or blue ones? Grapes for a snack or strawberries? Be intentional about developing a strong, loving relationship with your child. Give your child the greatest power he can possess, the power to compel himself to do the right thing. 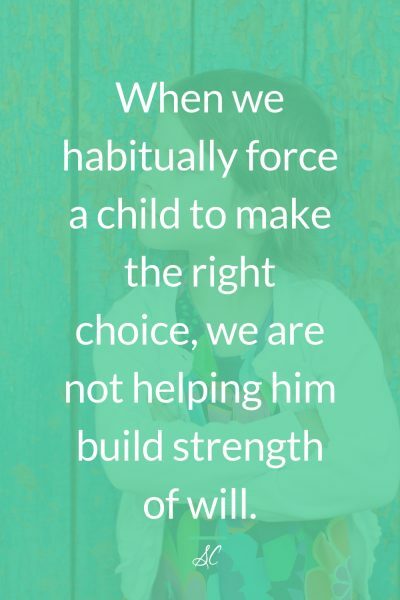 Build in your child the ability to choose well. 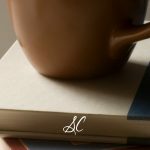 An excellent article! I’m sad how little this school of thought is perpetrated in christian circles. Thank you, Elizabeth, for your comment! I certainly agree with you. Thanks for reading.